• The collar also allows a wide, deep pozi to be inserted. This reduces the risk of rounding. • The invisible Reisser lubricant helps the screw drive in quickly and easily. • Specially hardened steel giving maximum tensile and torsional strength. 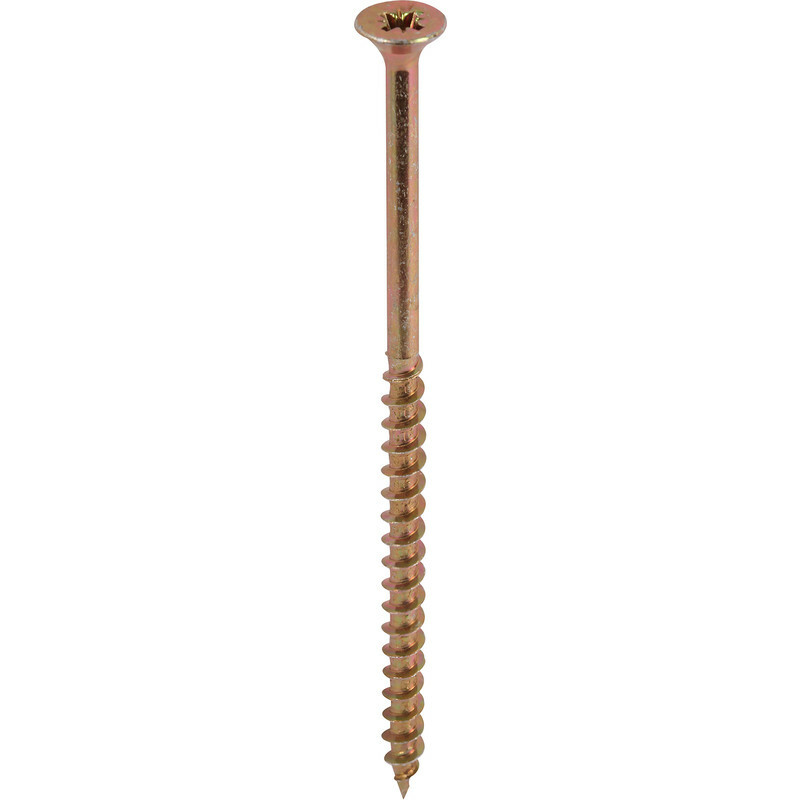 • Yellow tropicalized finish gives superior rust resistance compared to a standard BZP screw.